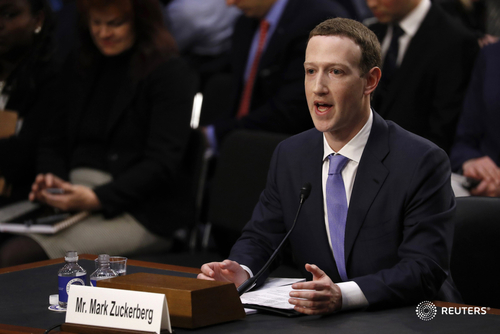 Senator Leahy confronted Zuckerberg about calls for the death of a Muslim journalist in Myanmar not immediately being removed from Facebook. "How can you dedicate and will you dedicate resources to make sure such hate speech is taken down in 24 hours?" Leahy asked. 2. Working with civil society in Myanmar to identity hate figures to remove accounts. 3. Setting up team to make product changes in Myanmar and other countries to prevent this from happening. 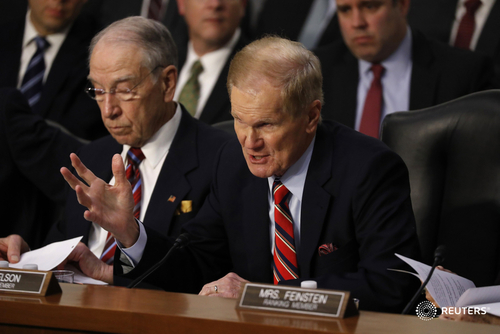 During the testimony, Democratic Senator Bill Nelson described a pattern of targeted advertisements in his Facebook feed surrounding his preferred brand of chocolate. 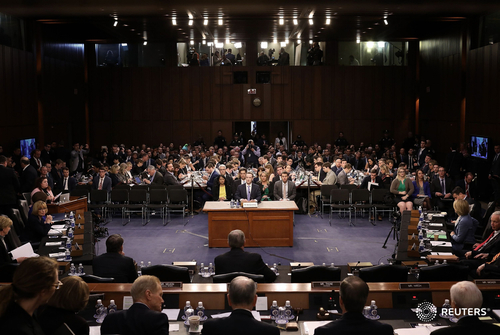 The anecdote went viral on social media, with some Twitter users mocking what they perceived as a harmless trend in light of larger issues surrounding compromised data. "I'm communicating with my friends on Facebook and indicate that I love a certain kind of chocolate," Nelson said. "All of a sudden I start receiving advertisements for chocolate. What if I don't want to receive those commercial advertisements?" "I'm communicating with my friends on Facebook and indicate that I love a certain kind of chocolate," Nelson said. "All of a sudden I start receiving advertisements for chocolate. What if I don't want to receive those commercial advertisements?" "Facebook is like a box of chocolates," tweeted author Michael Batnick. 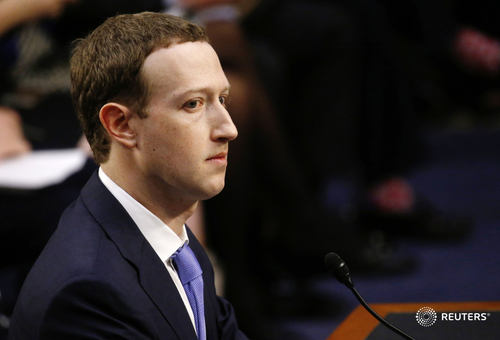 "Mark Zuckerberg has to sit and listen to tech-shy Sen. Bill Nelson talk about liking chocolate and his fright over a currently non-existing paid Facebook model," tweeted comedian Tommy Campbell. 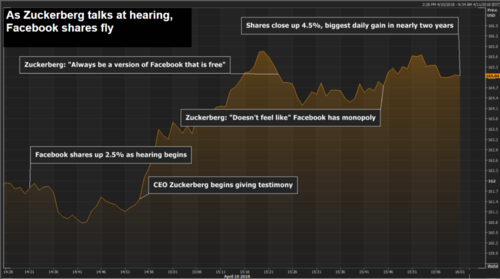 See Facebook numbers, while CEO Mark Zuckerberg testifies on Capitol Hill. Click here. 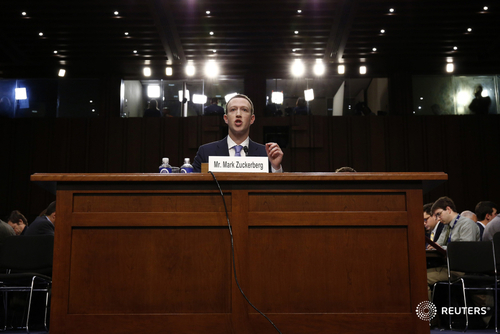 Zuckerberg says one of his "greatest regrets" is that company was slow to identify Russian threats to the 2016 presidential election.